After hearing that a new luxury hotel had opened on the rural outskirts of Jaipur, we were already very much intrigued. 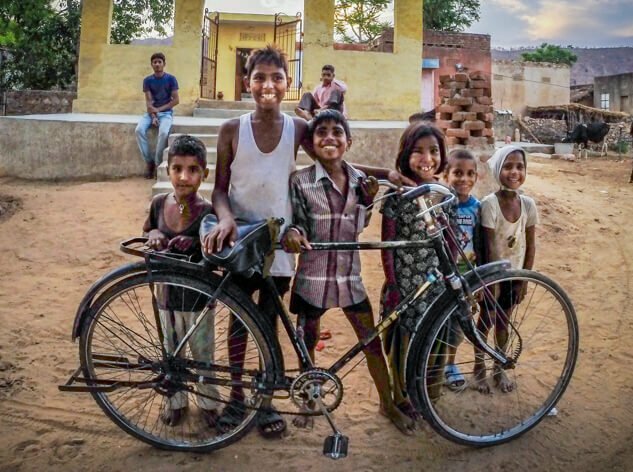 However, after learning that the resort was built in Anopura; a tiny, untouched, rural Indian village which Shiv (Co-Founder) hails from, we simply had to experience it for ourselves. Anopura is quite possibly the world’s small luxury hotel, offering just two guestrooms and a luxury tent. 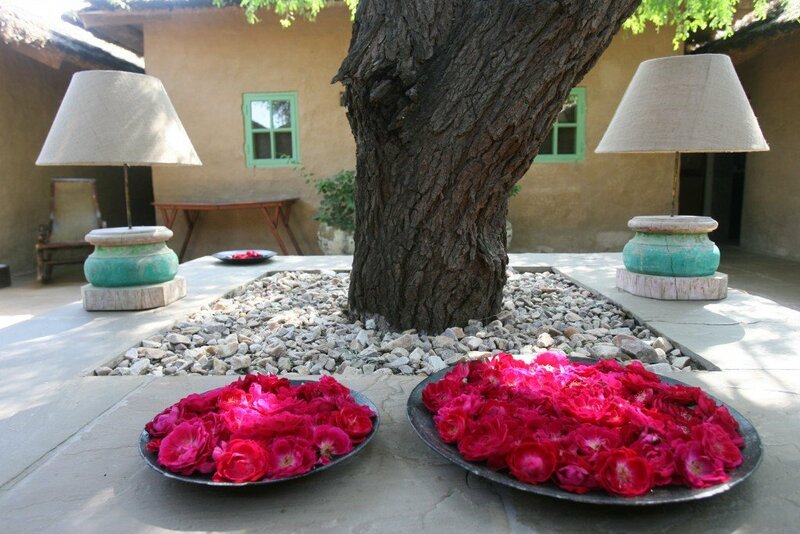 Located an hour outside of bustling Jaipur, Anopura is an oasis of natural beauty and serenity, nestled in the shadow of the ancient Aravali Mountains and endless green fields. This is a side to India that many tourists never get to see; a glimpse of rural life that hasn’t changed for centuries. The only noise you’ll hear is the occasional peacock’s cry, or the gentle chirping of crickets in the evening; a welcomed contrast from the buzzing Pink City of Jaipur. As we arrived at Anopura, our initial concern of a modern hotel spoiling the natural beauty of the village disappeared. 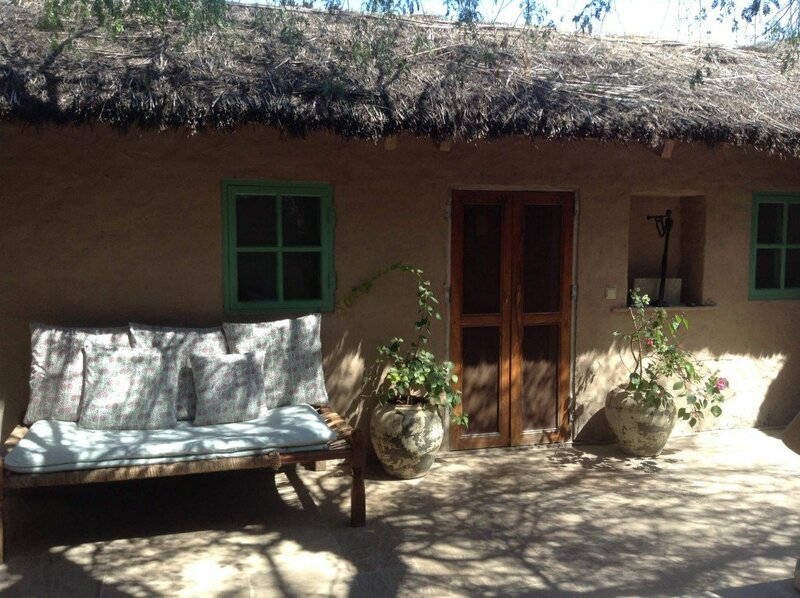 The small resort has been built to reflect a traditional Rajasthani home, blending seamlessly into its surroundings, complete with a traditional thatched roof and hand-crafted block printing motifs. We were met by the hotel’s friendly General Manager, Ishwar, and guided through to the central courtyard. We immediately noticed the fine details, which really bring Anopura into its own. The traditional touches are just stunning. Every corner was tastefully filled with tableaux that evoked a sense of complete peace and tranquillity. 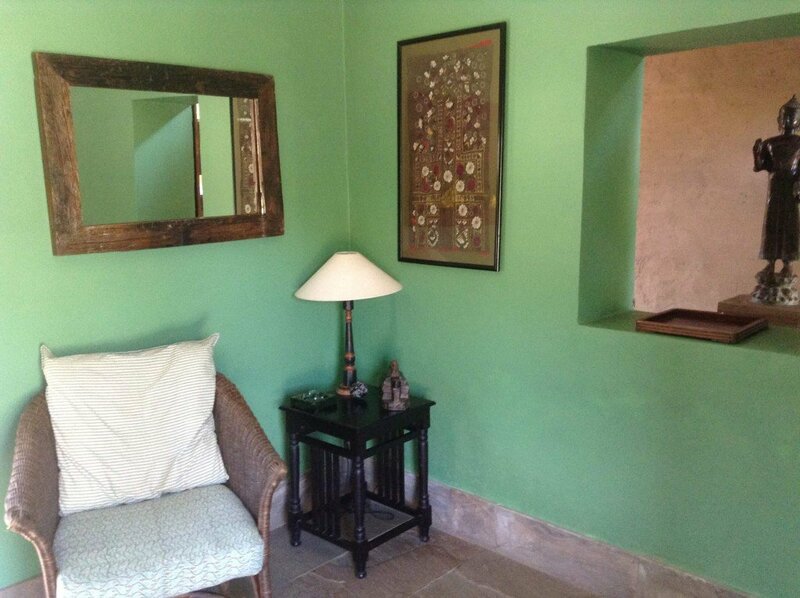 Here, we can spot all the traditional elements of a Rajasthani village home, spruced up with a touch of luxury and elegance. Placed in the centre of the courtyard is a beautiful charpoy (traditional Rajasthani woven bed stretched over a wooden frame) which now serves as a lounging chair, adorned with comfortable oversized cushions – a brilliant way of incorporating local aesthetics with a fresh approach. The two guestrooms are known as the Kedjeri Suite and the Champa Suite. Both are spacious, airy and extremely comfortable. 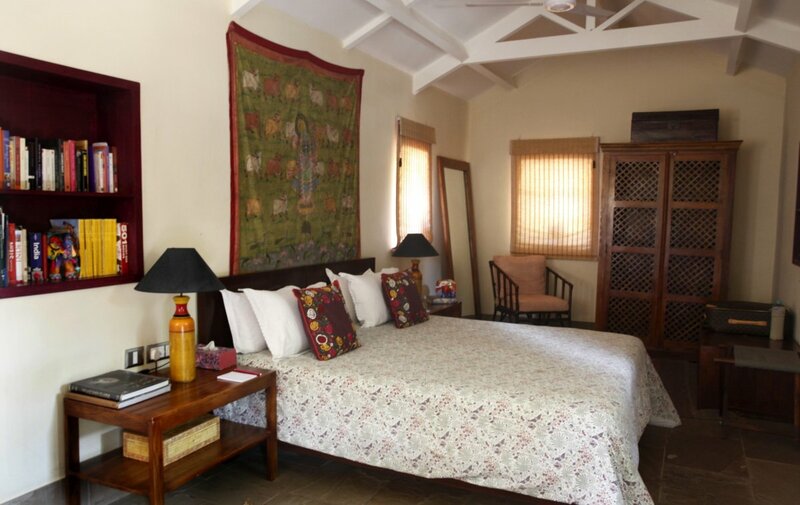 Each room features the finest locally sourced furniture and tasteful block-printed fabrics. The bathrooms are black marble, with an abundance of white fluffy towels. There is no television in the rooms, as the resort invites you to escape in your thoughts, completely relax and almost forget where you are. However, there is a communal lounging room with a couch, television, complimentary wifi and a selection of inspiring reading matter. Between meals, there is little to do other than breathe in the scent of frangipani, relax on a charpoy around the stunning plunge pool, and take in the majestic countryside views. For the more energetic of guests, the resort offers a range of complimentary activities, such as a bird-watching, camel trekking, Jeep safaris or a visit to the local village. Anopura also provide chauffeured vehicles into the city centre for those who’d like to explore the Pink City, at the splendid City Palace and Amber Fort. The wonderful sights, sounds and smells of Jaipur can result in an overload for the senses, and so we imagine Anopura is a delight to return to after sightseeing, as you settle into a comfortable chair with a glass of wine, awaiting a delicious meal from the chef. From our point of view, the best thing about the hotel is that it was consciously designed to help the locals and improve their way of life. The property has brought plumbing and stable employment to this underdeveloped community. The owner, a former Belgian diplomat, hired local people for the construction at every opportunity. His staff at the hotel all hail from Anopura village, even his resident chef, Chotu, who he trained to prepare a repertoire of delicious local dishes along with European cuisine. During our visit, Chotu was preparing Bruschetta, sourced from locally grown herbs and vegetables. He has now earned a reputation as one of the regions finest chefs. 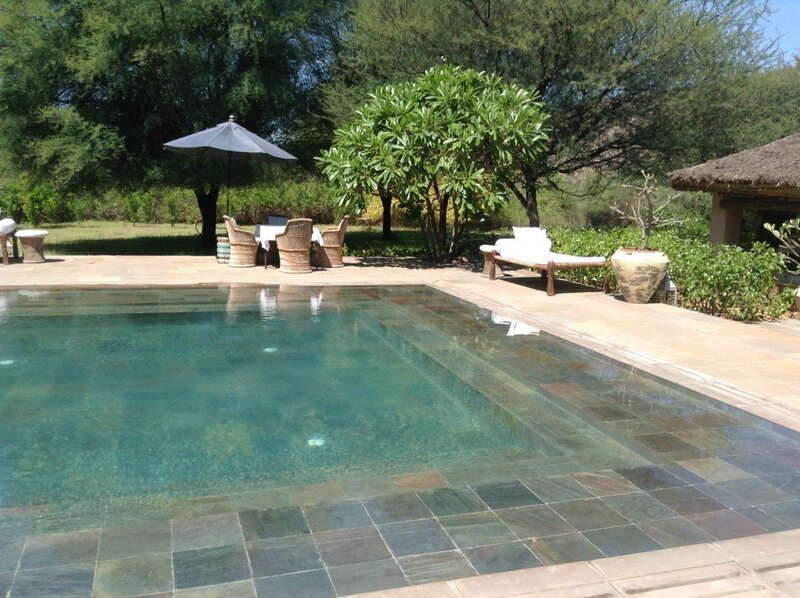 For those who want to steer away from the beaten track without compromising on luxury, Anopura is the perfect choice. Despite only staying for an hour, we left Anopura feeling relaxed and inspired and can only imagine how one would feel after a wonderful two night stay! A photograph of friendly locals in Anopura village, taking by our recent guests Mark and Elizabeth who stayed in Anopura during May 2015. Rooms at Anopura start from ₹20,000 per night depending on the season. Prices are inclusive of all meals, soft drinks, local activities and taxes. If you’d like to include a stay at Anopura on your upcoming trip to Rajasthan, please do get in touch. As specialists in private, bespoke tours of this region, we’d be an ideal match to assist with your arrangements and would be delighted to craft your tailor-made tour. Is this the best hotel in the world? Indian Excursions: the experts in tailor-made tours of Rajasthan. Anything you would like to see or experience in Rajasthan, we can make it happen! All our tours are private, and tailor-made to our guests individual requirements. 212-213 Vardhman Crown Mall, Sector 19 - Dwarka, New Delhi 110075, India. We're open Monday to Friday 10:00 - 18:00. India is 5.5+ UTC. © 2009 Indian Excursions Co - a trading name of Luxe Destinations Pvt Ltd.